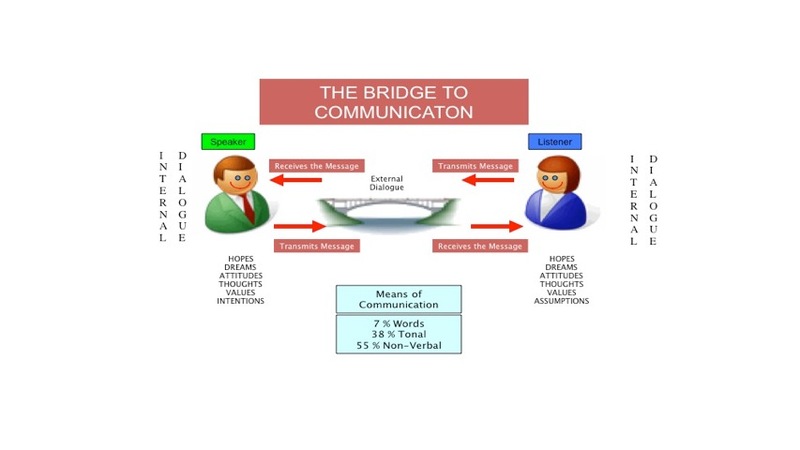 The Bridge to begins with the transmission with the cognitive map described the relationship between two persons of those who engage in meaningful dialogue. As you can see from this image above, there is a speaker and listener. Sometimes we refer to these as the person being coached and the coach. There is a necessity to remember that each of us has our internal dialogue going on while we are communicating with other persons. Internal dialogue includes our hopes, our dreams, our attitudes, our thoughts, our values, and our intentions. As a coach, we must separate our intentions in the conversation. The person being coached has all the same thoughts going on in their mind as they’re trying to tell their story. True communication begins with the transmission of the message from the speaker to the listener. 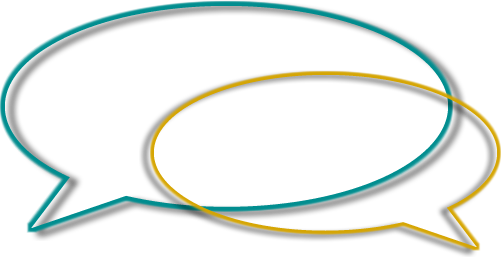 This message goes over a bridge, which is described as external dialogue. It is on this bridge of communication that many persons miscommunicate. Once the message is delivered to the listener, then he or she must receive the message without making any assumptions. This is not an easy task, for we all make assumptions of things every day of our lives. So, to be a good listener or coach, it takes someone who has listening skills that are acquired over many years of experience and practice. In the cycle of communication, both parties must participate. Therefore, the listener must now transmit his or her message back to the speaker. Again, the message is transmitted across the bridge of communication to the person who is now the listener. It is important to note that there are three means of communication. First, we communicate through our words which represents 7% of our communication. Secondly, 38% of our communication is done through our tone of voice. Finally, 55% of communication is nonverbal. Communication skills are vital in every area of life, whether with our family or with our coworkers, we must be willing to communicate clearly and effectively. The next time you are in conversation with someone, whether it’s a casual conversation or a coaching session, I hope you remember this diagram and put it to use. Thank you for taking a moment to read this blog article. I hope you received some good information from it. Please like it so that it will be passed on to others.